Critically ill patients are hypermetabolic and have increased energy requirements, making nutritional support a vital intervention. In the Intensive Care Units, enteral nutrition is based on opinions rather than evidence-based practices. Therefore, there is a need to identify the barriers to evidence based practice protocols for enteral feeding of patients in Jordanian ICUs. To explore Jordanian ICU nurses' perceived barriers for enteral nutrition that hinders them from utilizing the recommended EN guidelines. A descriptive cross-sectional design was utilized using self-administered questionnaire. A total of 131 nurses participated from different hospitals representing different healthcare sectors in Jordan. The five barriers subscales' means were almost equal ranging from 4.04 (Delivery of EN to the Patient) to 4.33 (ICU Resources) (out of 7). The most important barrier was “Not enough nursing staff to deliver adequate nutrition” (M=4.80, SD=1.81, 60%), followed by “Fear of adverse events due to aggressively feeding patients” (M= 4.59, SD=1.50, 56%). Although no significant differences in the mean barrier score were revealed, minimal significant differences were revealed that were distributed among different barrier subscales. Participants moderately perceived barriers with more focus on insufficient resources in ICU and among healthcare providers. Such barriers are modifiable and manageable, making their identification and management crucial for optimal patient care. This study confirms that enteral nutrition is a multidisciplinary responsibility. 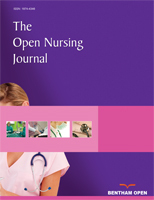 Keywords: Enteral Nutrition, ICU, Nurses, Critically-ill, Jordan, Multidisciplinary. © 2018 Darawad et al.